I want to start with a thought experiment: Suppose the most extreme predictions regarding technological unemployment come to pass. The new wave of automating technologies take over most forms of human employment. The result is that there is no economically productive domain for human workers to escape into. Suppose, at the same time, that we all benefit from this state of affairs. In other words, the productive gains of the technology do not flow solely to a handful of super-wealthy capitalists; they are fairly distributed to all (perhaps through an guaranteed income scheme). Call this the ‘postwork’ world. What would life be like in such a world? No one should ever work. Work is the source of nearly all the misery in the world. Almost any evil you’d care to name comes from working or from living in a world designed for work. In order to stop suffering, we have to stop working. [The postwork world means] creating a new way of life based on play; in other words, a *ludic* conviviality, commensality, and maybe even art. There is more to play than child’s play, as worthy as that is. I call for a collective adventure in generalized joy and freely interdependent exuberance. That sounds rather nice. But deeper analysis of this ludic life is needed. Only then will we know whether it provides for the kind of flourishing we seek. I want to provide that deeper analysis in this post. I do so by drawing from the work of Bernard Suits and Thomas Hurka, and in particular from the argument in Hurka’s paper ‘Games and the Good’. I want to suggest that a purely ludic life (one consisting of ‘games’) does allow for a certain type of flourishing. It is distinct from that included in traditional understandings of the good life, but it may provide a plausible blueprint for a postwork utopia. To make this case, I’m going to have to do three things. First, I’m going to have to start with a pessimistic view, one suggesting that a postwork world would robs us of some value. Second, I will have to outline Hurka’s analysis of games and the good. And third, I will have to argue that this analysis provides one way of defending Black’s ideal of the ludic life. Antiwork theorists think that work is bad and nonwork is better. I have analysed thisargumentative posture on previous occasions. One thing I noted on those occasions is that antiwork theorists are good at explaining why work is bad; but not-so-good at explaining why non-work is better. This is because their vision of the good life is oftenundertheorised. In other words, they lack clarity about what it takes to live a flourishing and meaningful life, and how that life might be enhanced in a postwork world. Theorisation is needed for a full defence of the antiwork position. Here is one plausible theory of meaning, taken from the work of Thaddeus Metz. In one of his papers (LINK), Metz argues that there are three main sources of value in life: the Good, the True and the Beautiful. Our lives flourish and accumulate meaning when we contour our intellects to the pursuit of these three things. In other words, our lives flourish when we act to bring about the moral good, to pursue and attain a true conception of reality, and produce (and admire) things of great aesthetic beauty. The more we do of each, the better our lives are. Under this account of meaning, your activities (and your intellect) must bring about valuable changes in the external reality. For example, I could dedicate my life to ending cancer. If I succeed, and my actions realise (or at least form some significant part of) the cure for cancer, the world would be a slightly better place. This would make my life meaningful (perhaps very meaningful). Why so? Because my actions would have helped to attain the Good (maybe also the True). Here is one concern you could have about this type of meaning in the postwork future. The centrepiece of this theory is the link (typically causal and/or mental) between what I do and what happens in the world around me. I cause or help to bring about the Good, the True and the Beautiful: that’s what makes my life meaningful. But it is the very essence of automating technologies to sever the link between what I do and what happens in the world around me. Automating technologies, after all, obviate the need for humans in certain endeavours. The concern is that this power to sever the link might take hold in many domains, thereby distancing us from potential sources of meaning. The concern needs to be fleshed out. The danger with the futurist antiwork position is that it assumes automating technologies will takeover the boring, degrading and dehumanising jobs, and leave us free to pursue things that provide opportunities for genuine meaning and flourishing. But there doesn’t seem to be any good reason to think that advances in automating technologies will only effect ‘bad’ or meaningless activities. They could takeover other more meaningful tasks too, thereby severing the connection between what we do and the things that are supposed to provide meaning. Indeed, if we assume that science is the main way in which we pursue Truth in the modern world, then there are already some obvious ways in which technology is taking over in its pursuit. Science is increasingly a big data enterprise, in which machine learning algorithms are leveraged to make sense of large datasets, and to make new and interesting discoveries. They are in their infancy now, but already we see ways in which the algorithms are attenuating the link between individual scientists and new discoveries. Why? Because they are becoming increasingly complex, and working in ways that are beyond the understanding and control of the individual scientists. So the concern is that automating technologies narrow the domain for genuinely meaningful activities. Some such activities will no doubt remain accessible to humans (e.g. there are serious questions as to whether machines could ever really takeover the pursuit of the Beautiful), but the totality will diminish in the wake of automation. Humans could still be very well off in this world: the machines could solve most moral problems (e.g. curing disease, distributing goods and services, deciding on and implementing important social policies) and make new and interesting discoveries in which we can delight, but we will be the passive recipients of these benefits, not active contributors to them. There is something less-than-idyllic about such a world. One thing that would be left open to us in this postwork future, however, is game-playing. While the machines are busy solving our moral crises and making great discoveries, we can participate in more and more elaborate and interesting games. These games would be of no instrumental significance — they wouldn’t solve moral problems or be sources of income or status, for example — but they might be sources of value. Prelusory Goals: These are outcomes or changes in the world that are intelligible apart from the game itself. For example, in a game like golf the prelusory goal would be something like: putting a small, dimpled ball into a hole, marked by a flag. In a game like tic-tac-toe (or “noughts and crosses”) it would be something like: being the first to mark three Xs or Os in row, and/or preventing someone else from doing the same. The prelusory goals are the states of affairs that help us keep score and determine who wins or loses the game. Constitutive Rules: These are the rules that determine how the prelusory goal is to be attained. According to Suits, these rules set up artificial obstacles that prevent the players from achieving the prelusory goal in the most straightforward and efficient manner. For example, the most efficient and straightforward way to get a dimpled ball in a hole would probably be to pick up the ball and drop it directly in the hole. But the constitutive rules of golf do not allow you to do this. You have to manipulate the ball through the air and along the ground using a set of clubs, in a very particular constrained environment. These artificial constraints are what make the game interesting. Lusory Attitude: This is the psychological orientation of the game players to the game itself. In order for a game to work, the players have to accept the constraints imposed by the constitutive rules. This is an obvious point. Golf could not survive as a game if the players refused to use their clubs to get the ball into the hole. This three-part analysis of games has struck many as both illuminating and (in broad brush) correct. We could quibble, but let’s accept it for now. The question then becomes: can a world in which we have nothing to do but play games (so-defined) provide the basis for a flourishing life? Maybe. Suits himself seems to have thought it would be the best possible life. But Suits was notoriously esoteric in his defence of this claim. His book on the topic,the Grasshopper, is an allegorical dialogue, which discusses games in the context of a future of technological perfection, but doesn’t present a clearcut argument. It is also somewhat equivocal and uncertain in its final views, which is what you would expect from a good philosophical dialogue. This makes for good reading, but not good arguing. So this is where we need to turn to the work of Thomas Hurka. Taking onboard Suits’s analysis, Hurka argues that games are a way of realising two important kinds of value. 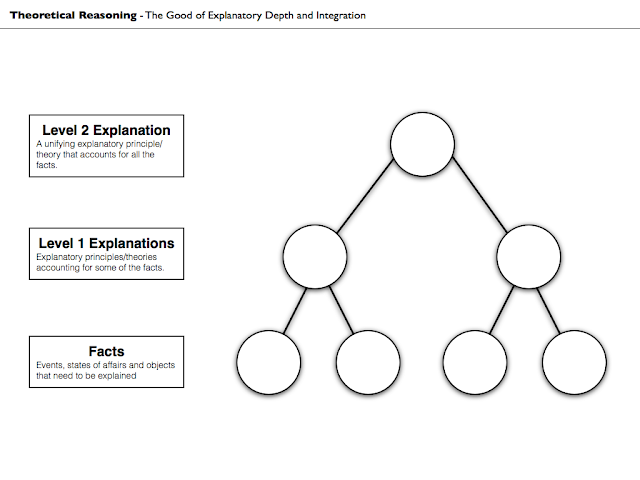 The first value concerns the structure of means-end reasoning (or ‘practical’ reasoning if you prefer). Means-end reasoning is all about working out the most appropriate course of action for realising some particular goal. A well-designed game allows for some complexity in the relationship between means and ends. Thus, when one finally attains those ends, there is a great sense of achievement involved (you have overcome the obstacles established by the rules of the game). This sense of achievement, according to Hurka, is an important source of value. And games are good because they provide a pure platform for realising higher degrees of achievement. An analogy helps to make the argument. Compare theoretical reasoning with practical reasoning. In theoretical reasoning, you are trying to attain true insights about the structure of the world around you. This enables you to realise a distinct value: knowledge. But this requires something more that the mere description of facts. You need to identify general laws or principles that help to explain those facts. When you succeed in identifying those general laws or principles you will have attained a deep level of insight. This has more value than mere description. For example, when Newton identified his laws of gravity, he provided overarching principles that could explain many distinct facts. This is valuable in a way that simply describing facts about objects in motion is not. The point here is that in theoretical reasoning there is extra value to knowledge that is explanatorily-integrated. Hurka argues that the parallel to knowledge in the practical domain is achievement. There is some good to achievement of all kinds, but there is greater good in achievement that involves some means-end complexity. The more obstacles you have to overcome, the more achievement you have. Hurka illustrates the point using the diagrams I have reconstructed below. They the illustrate the depth and complexity of insight and achievement that can be acquired in both theoretical and practical domains. The second source of value in game-playing has to do with Aristotle’s distinction between two types of activity: energeia and kinesis (this is how the distinction is described in Hurka – I’m not an expert on Aristotelian metaphysics but there are related distinctions in Aristotle’s work, e.g. praxis vs poesis). Energeiai are activities that are all about process. Aristotle viewed philosophy and self-examination as being of this sort: it was a constant process of questioning and gaining insight: it never bottomed out in some goal or end state.Kineseis are activities that are all about goals or end states. Aristotle thought that process-related activities were ultimately better than goal-related activities. The reason for this is that he thought the value of a kinesis was always trumped by or subordinate to its goal (i.e. it wasn’t good in itself). This is why Aristotle advocated the life of contemplation and philosophising. Such a life would be one in which the activity is an end in itself (I spoke about this before). At first glance, it would seem like games don’t fit neatly within this Aristotelian framework. They are certainly goal-directed activities (the prelusory goal is essential to their structure). And so this makes them look like kineseis. But these goals are essentially inconsequential. They have no deeper meaning or significance. As a result, the game is really all about process. It is about finding ways to overcome the artificial obstacles established by the constitutive rules. As Hurka puts it, games are consequently excellent platforms for attaining a particularly modern conception of value (one found in the writings of existentialists). They are activities directed at some external end, but the internal process is the sole source of value. Indeed, there is a sense in which they are an even purer way of achieving Aristotle’s ideal. The problem with Aristotle’s suggestion that the best life is the life of intellectual virtue is that intellectual activity often does have goals lurking in the background (e.g. attaining some true insight). There is always the risk that these goals trump the inherent value of the intellectual process. With games, you never have that risk. The goals are valueless from the get-go. Purely procedural goods can really flourish in the world of games. To sum up, a life filled with games does allow for certain forms of flourishing. Two are singled out in Hurka’s analysis. First, games allow for people to attain the good ofachievement (overcoming obstacles to goals). And better games add the right amount of complexity and difficulty to the process and thereby enable deeper levels of achievement. Second, games allow for the inherent value of processes to flourish in the absence of trumping external goods. Hence, we can revel purely in exercising the physical, cognitive and emotional skills needed to overcome the obstacles within the game. 3. Is this the utopia we’ve been looking for? Now, because game-playing has a trivial end-result, it cannot have the additional intrinsic value that derives from instrumental value. This implies that excellence in games, though admirable, is less so than success in equally challenging activities that produce a great good or prevent a great evil. This seems intuitively right: the honour due athletic achievement for themselves is less than that due the achievements of great political reformers or medical researchers. This suggests a retreat to the vision of meaning I outlined earlier in this post, i.e. truly meaningful activity must be directed toward the Good, the True and the Beautiful. The problem is that even if this vision is right, there is the risk that advances in automating technologies cut us off from these more valuable activities. We may need to make do with games. But perhaps this should not cause us despair. In many ways, this is a plausible vision of what a utopian world would look like. If you think about it, the other proposed sources of meaning (like the Good and the True) make most sense in an imperfect world. It is because people suffer or lack basic goods and services that we need to engage in moral projects that improve their well-being. It is because we are epistemically impaired that we need to pursue the truth. If we lived in a world in which those impairments had been overcome, the meaning derived from those activities would no longer make sense. The external goods would be available to all. In such a world, we would expect purely procedural or instrumental goods to be the only game in town. And what is a world devoid of suffering, impairment and limitation? Surely it is a utopia?